Microsoft revealed a version of Windows that blends holograms with real world video to provide users with an augmented reality version of their environment that blends real objects with virtual, and virtual interface elements, information boxes and guidelines viewable via a wearable headset device. Windows Holographic provides ways for engineers to see instructions overlaid directly on the objects they’re working on, Microsoft said on stage, or offers a way for architects to survey and present their designs alongside clients even when separated by great distances. If you want a look at something very similar being done by a company that’s much younger, but aiming at something similar, take a look at Sulon Cortex and what they brought to CES. 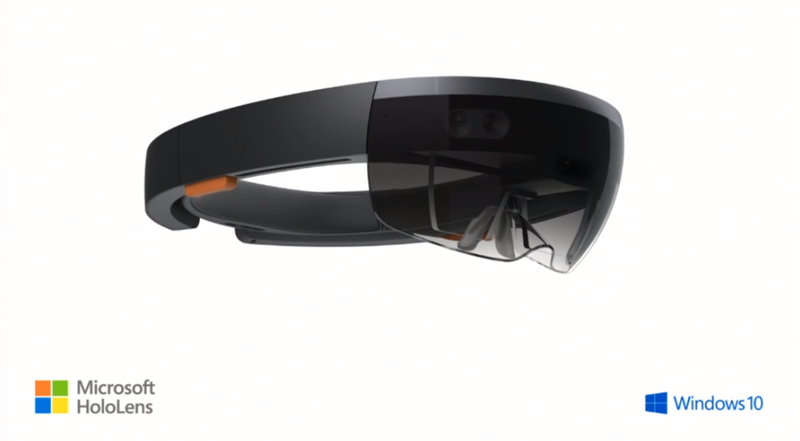 HoloLens is completely wireless, and features see-through lenses, spatial sound and advanced sensors. It’s designed to be a self-contained unit, and it has its own custom CPU and new Holographic Processing Unit (HPU) to work. It doesn’t even require a phone or computer to connect to wirelessly to work, and is meant to be completely independent. Based on what we know about Magic Leap, it aims to combine the real world with lifelike virtual objects in a similar way, but using what seems like different kinds of ocular image techniques. The HoloLens does seem an awful lot like the Sulon Cortex hardware, which is also designed to be tether-free in its final construction. Our early experience with the Cortex suggested a lot of potential for blended virtual/physical environments, so Microsoft devoting considerable resources to a similar project is definitely exciting. To support HoloLens and Windows Holographic, Microsoft built HoloStudio, a 3D modelling tool that lets people build holograms, which they can then integrated into software or 3D print them for physical use. 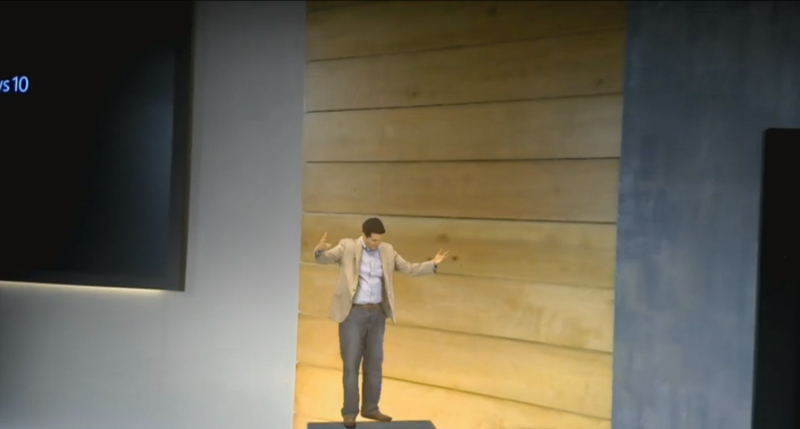 Microsoft demoed the tech on stage using an actual hologram of EVP Terry Myerson.